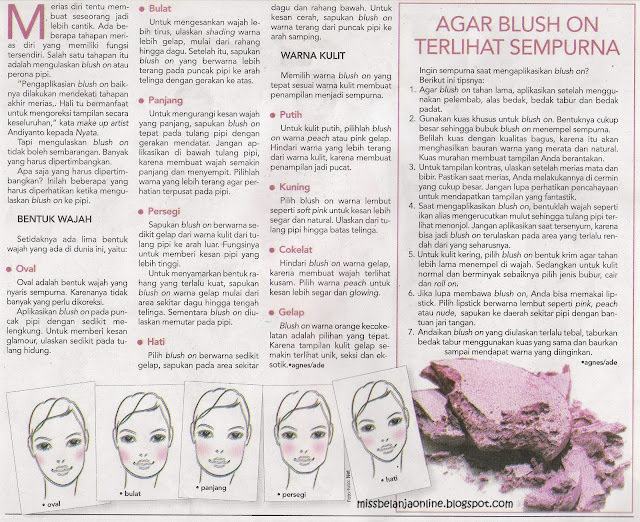 Hi, today I want to share another beauty tips from local magazine. This time is about Blush On. Blush on is one of my favourite products. I can't get enough of it especially those who come with a cute packaging and pink color he5~ The article is about how to apply blusher on different face shape. Also what color should you choose if you have dark skin or light skin color. Could you answer this questionnaire about hair care?Thank you so much!